The Toronto Raptors have upgraded the contracts of two of their depth forwards. In 25 games with the 905, Boucher averaged 27.6 points, 11.1 rebounds, 1.1 steals and 4.0 blocked shots, shooting 31.2 percent from deep. Boucher - who was familiar with the Raptors system, filled a roster need at centre, and could be signed in short order - made immediate sense for the club. The University of OR product erupted for a 905 franchise-record 47 points December 12 and recorded 14 double-doubles. 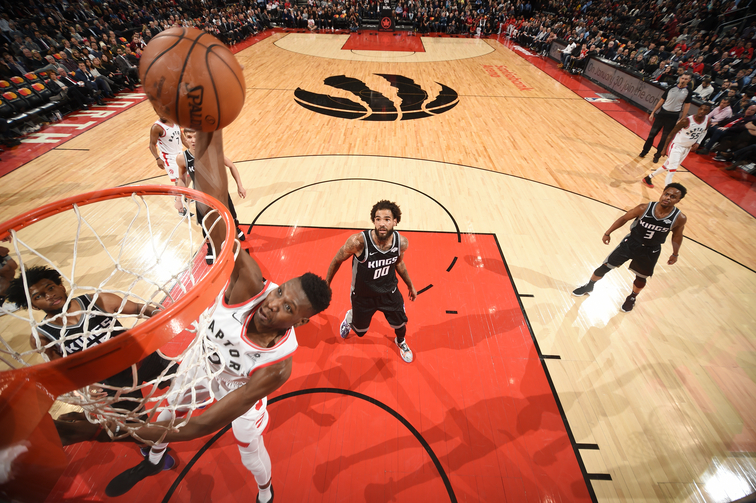 A native of Gaithersburg, Maryland, Miller was a two-way player with the Raptors last season, averaging 2.5 points, 1.0 rebounds and 8.4 minutes in 15 games (four starts). While playing for Nick Nurse at the 2018 Las Vegas Summer League, Miller suffered a torn labrum that would sideline him for the coming months. He has since recovered and played for the 905 season, and should provide perimeter shooting and defence at the wing position when called upon. Toronto must have 14 players on the senior roster by February 24 and it's possible they delay signing more players from here for tax purposes.